Camp David: The United States President, Donald Trump has declared that the US will be prepared to have discussions, with certain preconditions, with the North Korean Dictator Kim Jong Un. 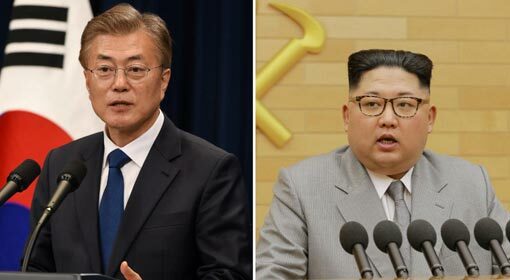 At the same time, he made it clear that we will be watching the progress of the talks between the North and the South Korea. According to the South Korean media this will create a conducive atmosphere for the Korean discussions. Washington: The stern reply given by the US President Donald Trump, to North Korea on nuclear war, had become a topic of much discussion. As a backdrop to this the ‘Alert’ published by the US Department of Health, has drawn a lot of attention. 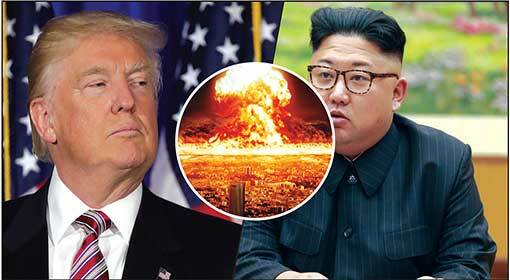 The US Health Department has in the coming week, organized a special programme for the citizens to guide them on precautions and preparedness to be taken in an eventuality of a nuclear war. Washington: The US Department of Defence has openly admitted that an investigation into the Unidentified Flying Objects (UFO) sighted from earth were initiated upon the request of Harry Reid, the former Senator and majority leader of the US democratic party. This is a historic first for the US to have given an official confession at the state level. Senator Harry Reid corroborated the statement and appealed that no one in the past had done this and was proud of it. Leading US dailies, ‘The New York Times’ and ‘The Washington Post’ along with the website, ‘Politico’ have published a news report in this regard. 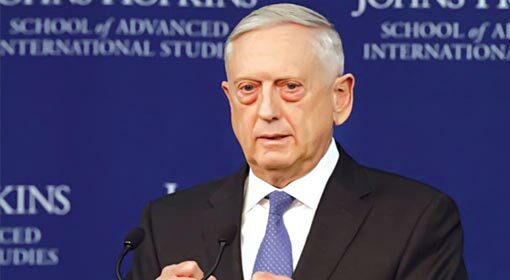 Washington: The US Defence Secretary, James Mattis, has announced the ‘National Defence Strategy’ with a special focus on the threat from Russia and China. While announcing the long-term defence policy, for the first time in 10 years, there are indications of attaching more importance to ‘Increasing Power struggle among big nations’ than terrorism. Russia and China have strongly criticised this US policy. Washington: CIA Director Mike Pompeo has geared up to establish an independent spy agency to be controlled only by President Trump. 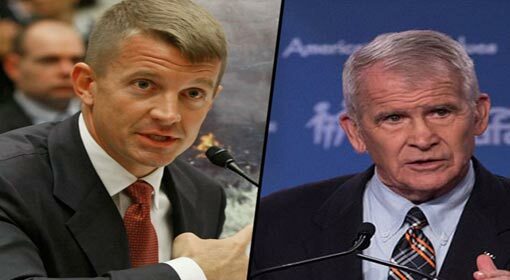 A private military company, Black water’s, founder Erik Prince has been approached to assist in its formation. It is claimed that the US’s CIA, which is regarded as world’s most influential intelligence agency is under the command of ‘deep state’ i.e. illegal authorities or power centres instead of the President and thus the need to build new spy network was considered. Washington: Fuel production in the United States is expected to show an increase of a whopping 10% in this year, reaching 11 million barrels per day. The latest report of Rystad Energy has forecasted that this increased production shall take the US to the top, surpassing nations like Saudi Arabia and Russia, which are currently leading the fuel sector. 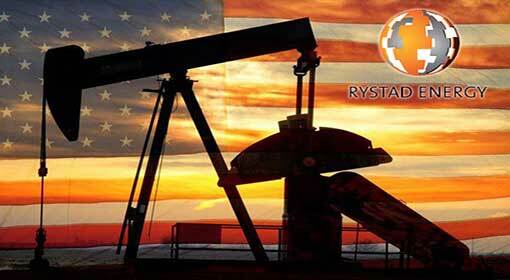 Rystad Energy is known to be a leading Oil and Gas Advisory and Research company in Europe. Islamabad: Pakistan is baffled due to the stoppage of the 2 billion Dollar aid by the US. The various reactions coming from Pakistan only confirm this. 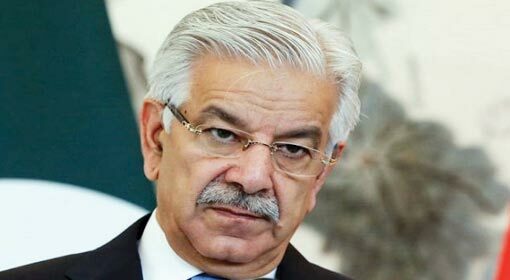 The Pakistan Foreign Minister Khawaja Asif has warned “The US and Pakistan friendship ended when the US stopped the aid to Pakistan. The US has always betrayed Pakistan and henceforth Pakistan will not be sacrificing anything for the US.” At the same time the Foreign Secretary of Pakistan, Tehmina Janjua had a different viewpoint. ‘In spite of all the threats received from the US, Pakistan will continue to be in discussion with the US. 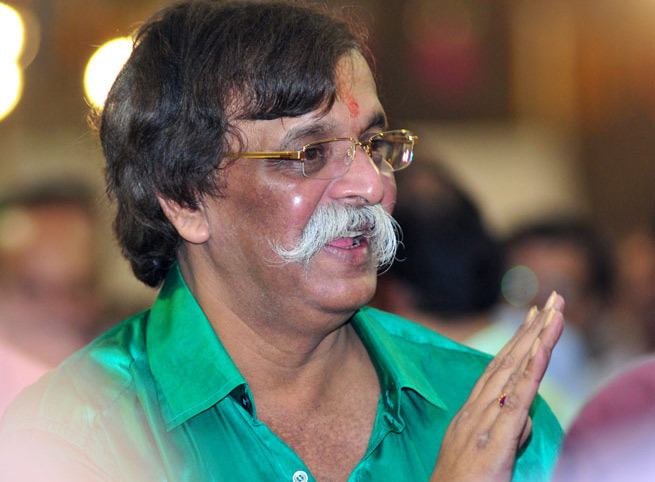 The US is not only a World Power but also has a strong presence in the region.’ Janjua said. Cairo: The terrorist organization ISIS has declared war on Hamas from the Gaza strip. ISIS leaders have issued orders to its terrorists to attack Hamas leaders as well as their centres. ISIS stated that the reason for this declaration was Hamas’ inability to stop the decision taken by US President Donald Trump regarding Jerusalem. 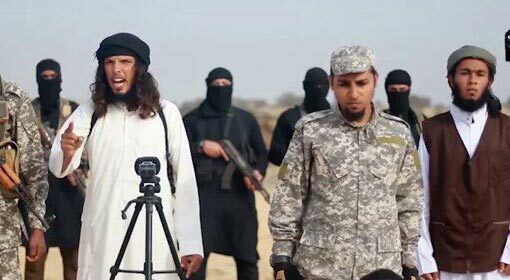 An allied organization of ISIS from Egypt has published a video. This 22 minute-long footage shows ISIS terrorists assassinating one of their own members. The said member had smuggled arms to “al-Qassam Brigade” which is a terrorist organization of Hamas in the Gaza strip. ISIS declared that to supply arms to Hamas from the Gaza strip is an offence and therefore shot down the member. 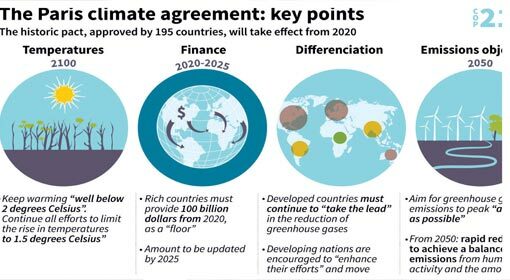 Washington: The President of the United States, Donald trump, has indicated possibility of the US participation in the Paris climate deal, he said, “I have no problem with the Paris Agreement. I have my reservations about the agreement signed by the previous administration as they had signed a very bad agreement. The US can think of participating in the agreement again”. President Trump had announced that, The United States was exiting the Paris climate agreement in view of the security of the American people and the interest of the United States. Santiago : The supreme religious leader of Christianity, Pope Francis, has warned, “The world is one step away from the sparks of nuclear war. 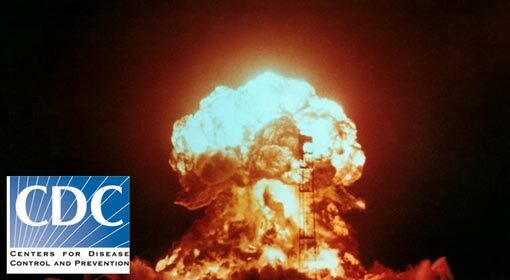 Even one accident is enough to precipitate a nuclear war.” While North Korea continues to threaten a nuclear attack, Pope Francis seems to have warned the entire world against this. Pope Francis is on a Latin American tour and has started his tour from Chile. At that time, few journalists had asked Pope Francis questions about a nuclear war. Amman: US vice president Mike Pence met King Abdullah of Jordan. 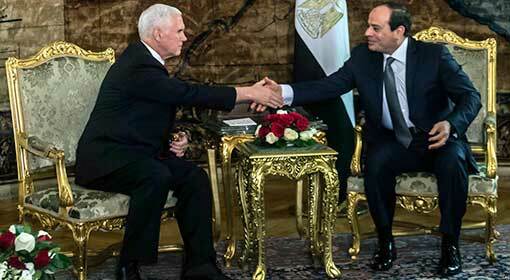 The US vice president also visited Egypt before this. From Jordan the vice president will be visiting Israel. The Israel visit gains importance in view of the fact that the US has declared Jerusalem as the capital of Israel. Subsequent to the US decision about Jerusalem the anti-American and anti-Israeli sentiment is gaining momentum in these countries. New Delhi / Washington : American company Lockheed Martin has proposed manufacturing super advanced F-35 along with F16 fighter aircrafts In India. The company has expressed preparedness to make changes to the aircrafts as per the needs of the India Air Force. The Indian Air force has a shortfall of hundreds of aircrafts and India has started making the moves to purchase the advanced aircrafts. 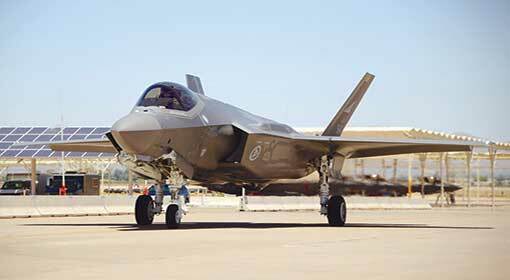 This proposal from leading defence equipment manufacturer Lockheed Martin is in line with the requirement. Washington: Dow-Jones, known to be one of the oldest stock exchange indices in the United States, showed a record increase reaching over 25000 point mark on Thursday. 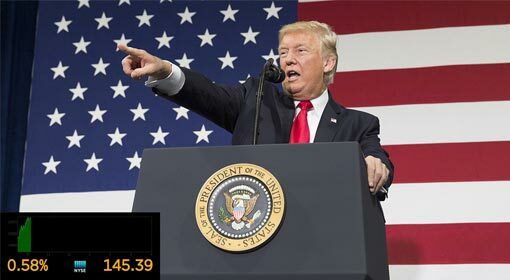 This rise in the index, based on the market performance of 30 leading American companies indicates the success of “Make American Great Again”, claimed President Donald Trump. Within one year since Trump was elected as President, the Dow-Jones index has leapt up by a whopping 7000 points.